Chitrakoot means the ‘Hill of many wonders’. Chitrakoot falls in the northern Vindhya range of mountains spread over the states of Uttar Pradesh and Madhya Pradesh. 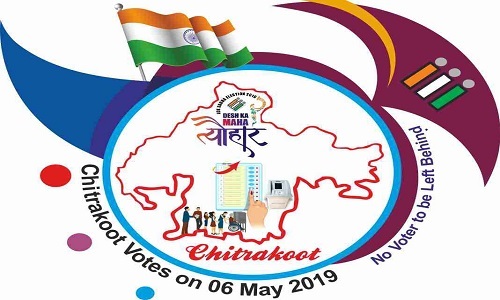 Chitrakoot district in Uttar Pradesh was created on 4 September 1998. Chitrakoot Parvat Mala includes Kamad Giri, Hanumaan Dhara, Janki Kund, Lakshman pahari, and Devangana famous Religious mountains.Lord Rama spend a major part of his exile here. According to the epic Ramayana, Chitrakoot is the place where Bharat, brother of Lord Rama came to visit him and asked him to return to Ayodhya and rule the kingdom. It is believed that the supreme Gods of Hinduism, (Brahma, Vishnu, and Shiva) took incarnations here. The place is dotted with many temples and several religious sites. At Chitrakoot, everything relates to Lord Rama. One can also explore the amalgamation of culture and history on this land. Chitrakoot is a spiritual retreat, thronged almost throughout the year by travellers, who have a penchant for the unknown and unexplored. Chitrakoot is a perfect blend of divinity, serenity, and natural beauty.